Player A throws an aerial over the mannequin to player B. - When receiving an aerial the player should always try to get his eyes behind the line of the ball, allowing for better judgement. - Players should he relaxed with firm but not hard hands, allowing for a more controlled touch. 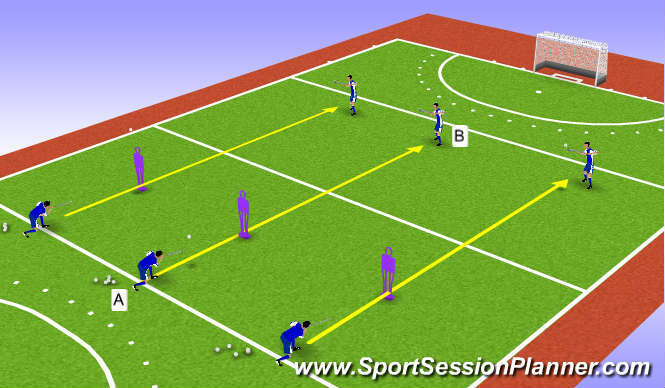 1) Player B can be on the move either towards or away from the ball. 2) Aerials can be thrown onto Player B&apos;s backhand.